- Hamira is a 9-key Lutyens style homestay built in the 1950s and spread across 10 acres. - While here, don't forget to indulge in the exquisite wellness treatment at 'The Spa Gazebo'. Yoga is on request, and massages can be held anytime during the day. 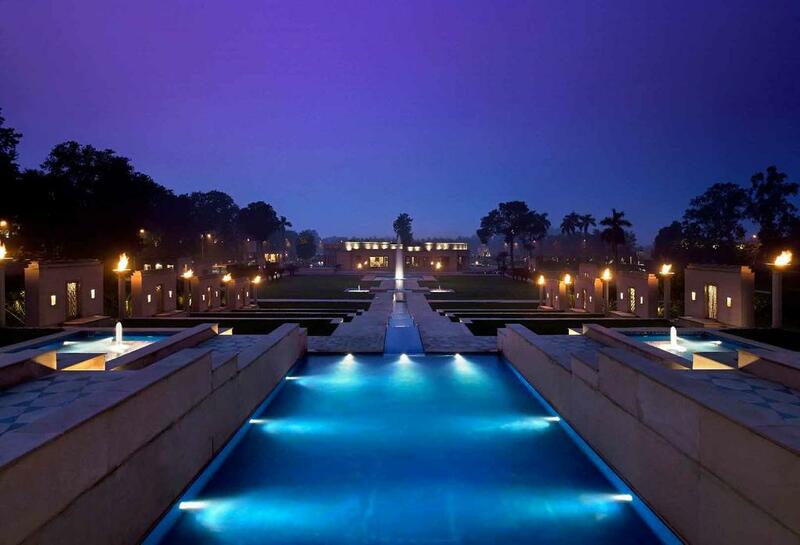 - At dusk, you can request a bonfire amidst the gazebos: stone-carved apsaras & elephants dot the view, fountains spring low and high, and tiled walkways and water channels bisect impossibly green expanses. - You might spot peacocks dancing in the lush green lawns of Hamira. - While staying at Hamira, participate in the evocative ceremony at the Indo-Pakistan border, Wagah. A pilgrimage to the Golden Temple and to the legendary food stalls of Amritsar is also a must. 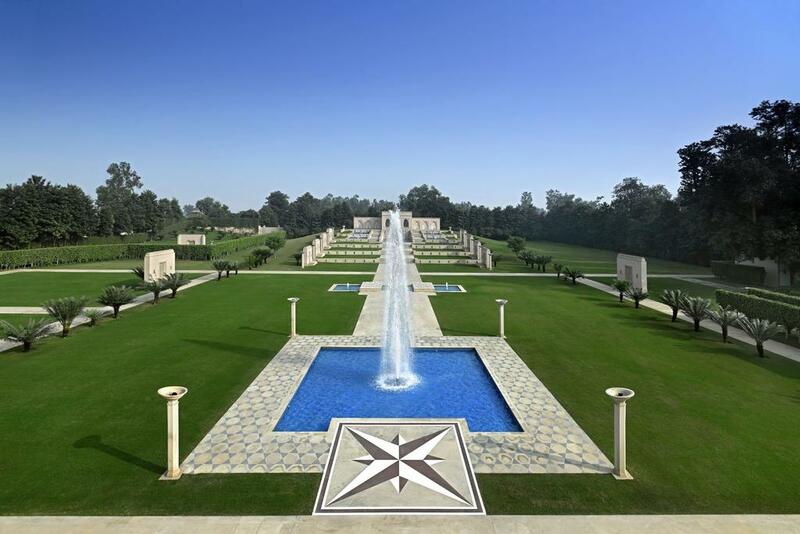 Hamira is a 10 acre homestay located in the Paris of Punjab - Kapurthala, engulfs you in the luxury of time & of a time gone by, where personal memory entwines with royal patronage. And where contemporary comforts vie with a languid, timeless luxury to give you a glimpse from the inside — of an eclectic lifestyle that was born at a special moment in time. There is an intermingling of eras as unexpected as it is delightful. The house is a distinctly Lutyens style home, bold and modern when it was first built in the 1950s, is a reflection of its progressive owners. And the later addition, the Annex, is a cocoon of style and intimacy. Experiences at Hamira are unique, tailored to match your mood, creating a moment that is special and your very own. Peacocks casually stroll past the lush green lawns of hamira. 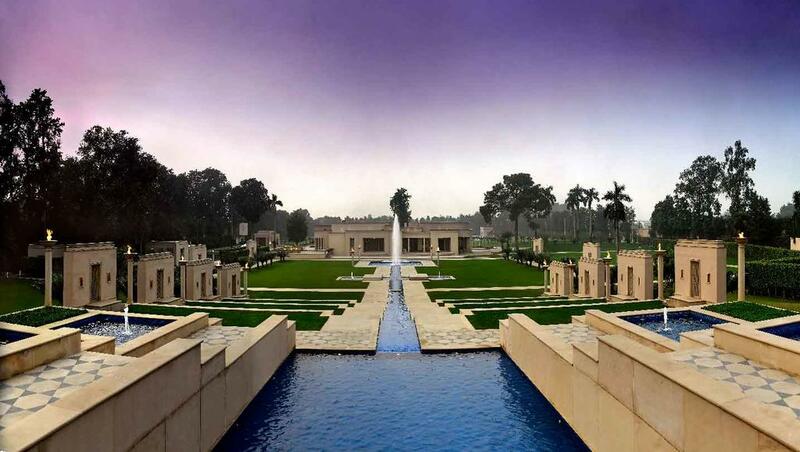 The luminous blue pool set into the Mughal garden invites you to dive in and when you emerge from its temperature - fully energized and refreshed, you can tuck into a special breakfast under a gazebo, while watching sunlight dapple on its gentle ripples. Gazebos, stone-carved apsaras and elephants dot the view, fountains spring low and high, and tiled walkways and water channels bisect impossibly green expanses. At dusk, you can request a bonfire amidst this magical setting. You can also spend some time at the extensive library lined with shelves and genres which is an invitation to curl up and spend hours on the conveniently placed couch with your nose in a book. The Spa gazebo at Hamira promises you inner and outer relaxation through outdoor yoga and massages available. Therapeutic and rejuvenating sessions are conducted to ease your body &mind. Expert masseuses work out stressed muscles from head to toe, unwinding you to a blissful nothingness. Yoga is on request, and massages can be had at any time. While staying at Hamira, participate in the evocative ceremony at the Indo-Pakistan border, Wagah. And of course, make the pilgrimage to the Golden Temple and the food stalls of legendary Amritsar. 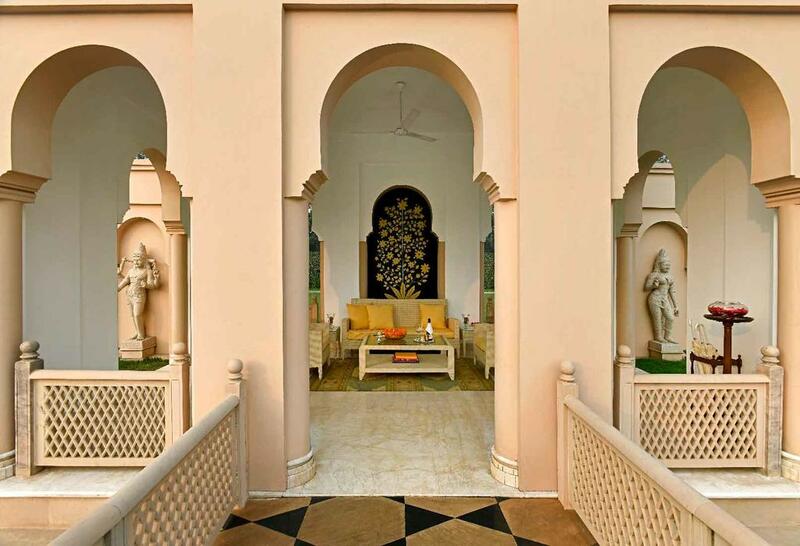 All deluxe rooms (2 in the Main House and 4 in the Annexe) look out onto green lawns and elegant gazebos with arches that lead to sparkling blue-tiled waterways and gushing Mughal fountains. It consists of 4 deluxe rooms, awash with gentle light, and defined by the signature luxuriant grace of Hamira. In the common living area, shades of white and neutral tones are set off by bold accents, art and whimsical objects. All rooms and common areas are heated and cooled centrally. It is recommended for a larger party, or for those who want more privacy.